Locking lever hinges offer safety, convenience and good looks. 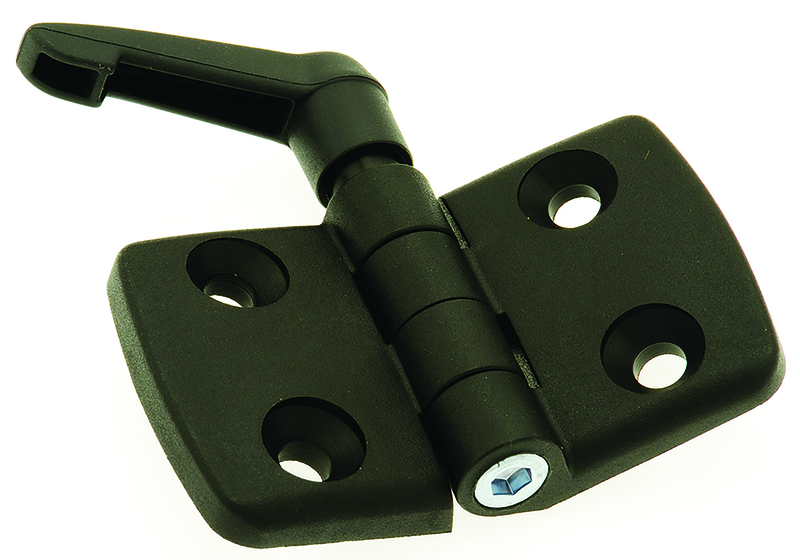 WDS Component Parts Ltd. has extended its hinge range with the introduction of new locking lever hinges. These are typically for use with aluminium profile space-frames, but are expected to also find a wide range of other applications. Developed from a standard hinge, the new products have extra capability built into them because the usual hinge pin is replaced by a bolt with an indexing clamping lever. 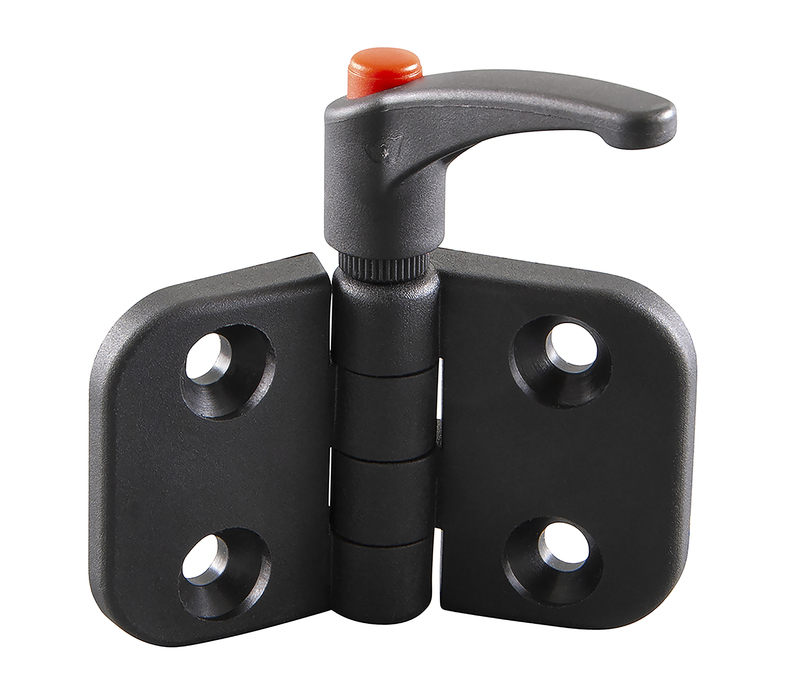 This enables the hinge to be locked into any desired position, fully open, fully closed or partially open, simply by pulling and twisting the handle to secure the hinge. A typical use may be to lock open an enclosure lid or machine cover so that it is held securely and will not slam shut if knocked or blown by the wind. Other potential uses could include locking a diverter gate into position to direct items travelling on a conveyor belt, securing signage such as open/closed signs, inspection covers for many sorts of plant, machinery and systems, etc. The hinges are made of tough polyamide, so are strong and immune to corrosion. Coloured black, they can be supplied with a coloured button at the top of the handle, the options being black, orange, red and green. The colours may be selected for purely aesthetic reasons or they may be part of a scheme of colour coding that is matched to the needs of the application, such as red and green for left and right, or port and starboard. They are available in a range of sizes, from 59mm fully open to 115mm fully open and weigh between 51g and 71g. All width sizes are 48mm tall and there are four countersunk holes for mounting screws. The locking lever rises above the hinge plates, and stands proud by about 30mm, providing enough room for easy access, without taking up excessive space when mounted on a space frame or machine. The new hinges are part of a wide range of standard and specialist hinges offered by WDS, that includes lift-off hinges, non detachable hinges, stud mounted hinges and metal hinges. Like all WDS products, they are detailed on the company’s website, www.wdsltd.co.uk, which can also be used to place purchase orders. They can also be ordered by phone on 0845 606 6677 or post. Image 1: These are typically for use with aluminium profile space-frames, but are expected to also find a wide range of other applications. 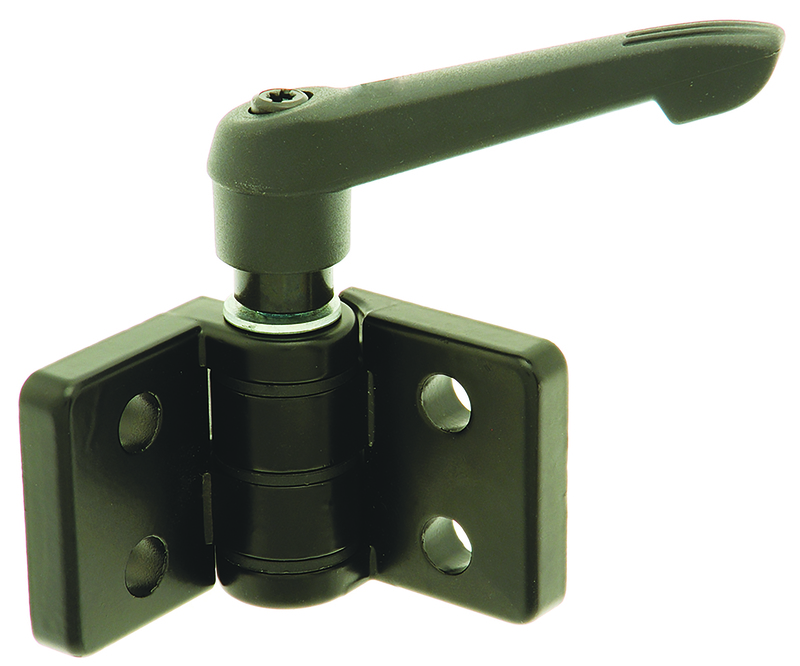 Image 2: WDS Component Parts Ltd. has extended its hinge range with the introduction of new locking lever hinges. Image 3: Coloured black, they can be supplied with a coloured button at the top of the handle, the options being black, orange, red and green.